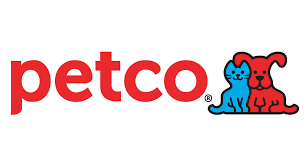 PetCo recently announced that they are introducing “new standards for nutrition at PetCo.” The CEO announced on November 13, 2018 that the giant pet store will no longer sell dog and cat food and treats with artificial colors, flavors or preservatives in both their online store or approximately 1,500 stores in the US and Puerto Rico. While they boast on being the first and only major retailer of pet food to take a stand against such ingredients (effective January 2019), is it really a publicity stunt or is it for your dog or cat’s nutritional health? You can also see more info here and on a veterinary site here. 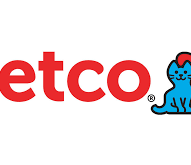 While PetCo may think that they are “raising the bar and stepping out ahead of the industry,” in my opinion, they aren’t. To me, this isn’t setting a net standard in pet nutrition. There are some “artificial ingredients” that are actual pivotal in maintaining storage of dog and cat food (like Vitamin E). In other words, is it a bigger risk to have pet food that is now contaminated with mold or mildew because there’s no preservative in it? Artificial preservative: any chemical substance added to or sprayed on the outside of food to retard spoilage, deterioration, discoloration or contamination by bacteria and other disease organisms; does not include preservatives that are derivatives of natural compounds. While I’m a huge advocate of good dog and cat care, I’m not sure this is the best stance. Unfortunately, this will affect pet owners who may not be able to afford “top end” or boutique brands. To be quite honest, there is a paucity of (e.g., limited to NO) information about how and if artificial ingredients affect pets at all. Here’s my veterinary stance. And this may offend some of you, but this is my opinion. Yes, it’s expensive. Yes, it has artificial preservatives. But this food is instrumental in treating my cat’s severe food allergies. And I trust this pet food company with my cat’s medical condition as they’ve done the research to make sure the food helps with my cat’s medical disease. I know not everyone understands what these chemicals or ingredients are, and not everyone will be able to pronounce them. But I can’t risk the food going rancid or getting mold on it in the kibble process or shipping process. At the end of the day, I want your pet to live as long as possible and be as healthy as possible. But to me, I feel like there are a few other things that will help ensure that your pet is healthy and happy – by exercising your dog (30 minutes per day), making sure your cat is getting environmental enrichment, and making sure your pet has good preventative care. In my opinion as a vet, that’s more important to your pet’s health than it is to make massive sweeping statements or policies like what PetCo is saying. Want my general rules with pet food? Is if your dog defecates more than 2X/day (too much filler! ), or doesn’t have an amazing hair coat, it’s not a good food. But when in doubt, check with your veterinarian, not your local pet store. John Thlmas- remember that Petco would not be pulling this marketing stunt if THEY weren’t getting paid for it. They’re a business out to make the dollars, after all. LOL I love when people think that no one can have a different opinion than them unless they’ve been paid. How arrogant. But what can you expect from folks who don’t see the issue with crying “shill!” at conventional vets but ignore that their holistic vet makes money too. Sort of like when anti-vax doctors cry about bIg pHaRma but then sell supplements and books on their website and charge thousands for a consult.